There are many recovery technologies already well developed and technically proven that provide significant opportunities for improving industrial energy efficiency through waste heat recovery. Before beginning a waste heat recovery project it is essential to identify all potential sources of accessible waste heat, type of recovery technologies available for these sources, and most importantly what the recovered waste heat energy may be used for. After conducting a survey of plant equipment utilizing large quantities of electricity and/or natural gas a preliminary plan for capture of waste heat energy can be developed. Then the essential heat transfer projects can be identified and cost analysis performed to identify the feasibility of potential projects. Capture of industrial waste can either be “reused” within the same process or transferred to another process. For example, thermal oxidizers, ovens, and furnaces all exhaust hot products of combustion. These can be fed to air-to-air heat exchangers to provide preheated air to combustion equipment such as boilers, furnaces and ovens, or used for space heating, and drying/curing room heating. Alternately, it can also be used by air-to-liquid heat exchangers to heat water, oil, or other process fluids. Improving equipment efficiency through preventive maintenance and tuning must also be considered. Steam boiler and hot water boiler efficiency can be improved by capturing waste heat through the use of economizers, condensing economizers, and blowdown heat exchangers. By preheating the boiler feed water, the amount of energy required to heat the water to operating temperature can be reduced significantly. 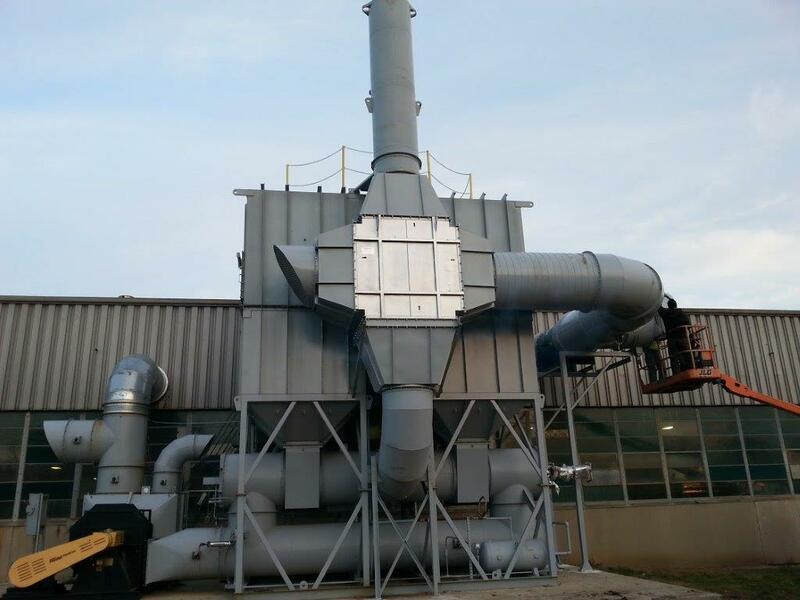 Heat exchangers can also be used to transfer “heat of combustion” from thermal oxidizers and furnaces to drying ovens, curing rooms, and for space heating. In this manner, the recovered heat can replace fossil fuel energy that would have otherwise been used. Such methods for recovering waste heat can help facilities significantly reduce their fossil fuel consumption, as well as reduce associated operating costs, and greenhouse gas emissions. 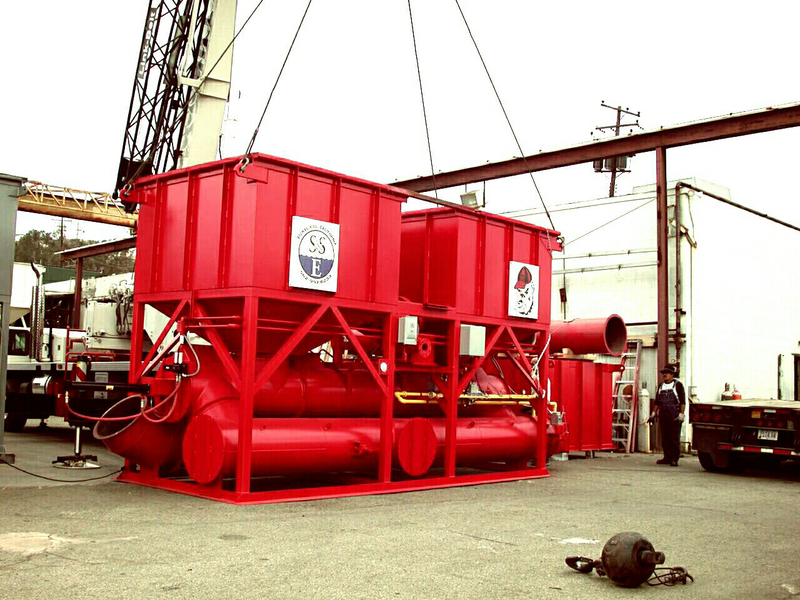 A recent project performed by Ship & Shore Environmental for a coating operation included increasing recirculation in the process to reduce the heating costs of their furnace, increasing the solvent load in the VOC-laden air stream handled by a regenerative thermal oxidizer (RTO), and installation of an air-to-water heat exchanger. The 400°F oven exhaust was fed to an air-to-water heat exchanger, for two purposes. 1) To heat water for plant parts cleaning operation. 2) To reduce outlet temperature of the oven exhaust so that common spiral wound galvanized duct could be used for transfer of the solvent-laden air stream to the regenerative thermal oxidizer (RTO), required to meet air pollution abatement permit conditions. By using spiral wound galvanized ducting instead of using welded solid construction carbon steel ducting a significant cost savings resulted. Through a local utility incentive/rebate program, Ship & Shore Environmental assisted the end user with application for an energy-saving process improvement measure. The project was pre-qualified for $145,000 rebate for the heat exchanger project and energy-efficient RTO. In addition, a $95,000 cost savings was realized due to the change in material selection for the ducting installation. Additionally Ship & Shore is one of the only companies that assists customers in receiving government rebates that can be applied towards energy efficiency projects. WE have helped customers receive over $7 million dollars to date and that is at $ per therm saved per utility companies that provide these significant rebates helping customers save on capital costs. Each manufacturing facility has unique requirements that must be considered carefully. Many facilities can benefit from an energy consumption assessment that includes recommendations for heat recovery or other energy reducing measures such as equipment tune-ups and repairs to steam lines, steam traps, compressor systems, HVAC systems and other high energy consuming equipment. Our goal is to help manufacturers find reliable, energy-efficient solution to meet their unique requirements, which may include air quality compliance, review, facility energy-efficiency assessments, and recommendations.